Now that Sekiro: Shadows Die Twice is out, you may be getting some serious Dark Souls vibes while playing it. After all, they’re both developed by the same studio, so it’s not unusual to find similar DNA between both games. And sure, it may get tiresome to make constant comparisons between the two, so we’ve decided instead to take a look at just what makes them different. Keep in mind, there are probably endless things that differ between them, but we’ll be covering some major things we’ve noticed throughout our playthrough of Sekiro. Also, when contrasting the two, we will be looking at the Dark Souls series as a whole, including all three entries in that series for reference. It’s also worth mentioning that the original Dark Souls is eight years old now, so some of its mechanics differ simply due to its age. Let’s take a look at some major differences between Sekiro: Shadows Die Twice and the Dark Souls series. 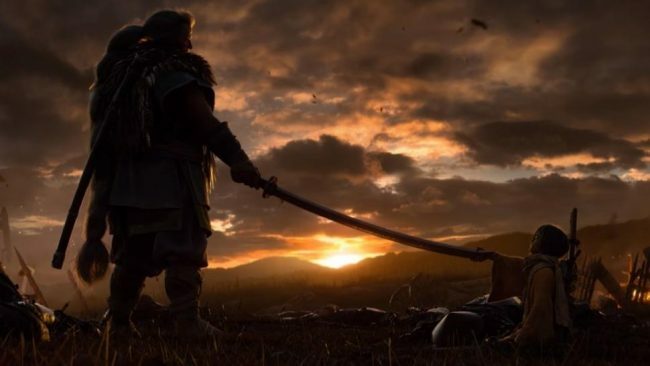 Right off the bat, Sekiro hits you with a cinematic that really sets the tone for what’s to come. You’ll notice that the story is very clear and it’s easy to understand what’s happening. As opposed to the cutscenes of the Souls games, which are very vague and are hard to understand at times. That’s not to say the Souls cinematics aren’t enjoyable — They’re quite beautiful and visually interesting, but if you find them a bit too vague, you’ll probably enjoy Sekiro more, at least from a narrative standpoint. Since narrative is much more at the forefront in Sekiro, you’ll find interactions between the main character and other NPCs to be a bit more meaningful, at least on the surface. The protagonist talks, which is also a major difference. Granted, you might not care about this if your main focus is gameplay, but it’s a nice touch that adds personality. Even the driving force of the game, the protagonists motivations, are clear right from the start. There is no need to examine items to try and decipher lore that may or may not be present. Since Sekiro handles story in a more prominent way, it removes the ability to create your own character. You can still find engaging stories in games that allow for character creation, but it’s definitely easier to handle narrative if the developers are in control of who you play as. To be clear, the way Dark Souls handles story and narrative is interesting and it instills a lot of trust onto its audience. It says a lot that From Software knows its player-base and understands that many players don’t like to simply be handed a story, but would rather discover things on their own. Both ways of storytelling are important and it’s fascinating that From Software is able to successfully pull them off. To go with the lack of direction in story, there is also a huge lack of direction in how to effectively play Dark Souls. Sure, there are brief button tutorials found throughout the preliminary sections of each game, but aside from that, you can only rely on your own experiences and the graciousness of other players to succeed. Again, this is an awesome design choice, but it might not be for everyone. In Sekiro, you’ll notice that tutorials are much more abundant, giving you specific insight as to how everything works. 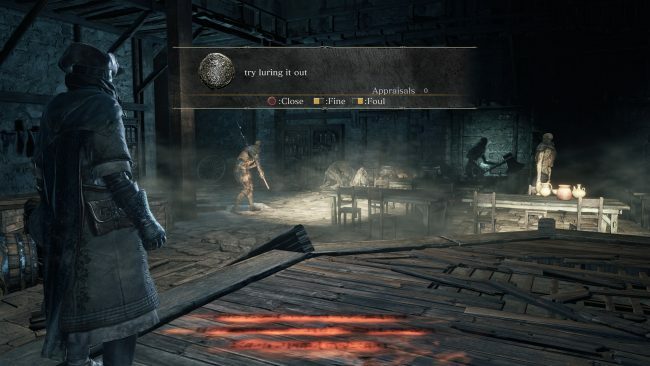 There are lots of abilities and items that tell you exactly how to use them and what their purpose is, and it’s refreshing after the cryptic nature of the Souls games. And you aren’t limited to just stumbling upon a tutorial on the ground, either. When you discover a new item, the game presents you with an unavoidable tutorial that explains things clearly. That isn’t to say there isn’t still mystery in Sekiro, but I imagine fewer players will be turned off sooner since the game does a better job of explaining basic things right away. The lack of tutorials in Dark Souls isn’t a flaw, but it’s a distinct feature (or lack thereof) that differs greatly from Sekiro, which might sway you one way or another. One of the most noticeable and distinguishable features in Sekiro is how it’s designed around fast and fluid movement. And sure, Dark Souls III can feel snappy and fast-paced at times, but that’s nothing compared to how Sekiro feels. You can quickly move around on foot by hitting the dodge button and it feels incredible, especially if you successfully evade an enemy’s attacks. Sekiro even has a jump button, which is nowhere to be found in the Souls games. The jump button is in place because Sekiro has a major focus on verticality. Probably the most prominent inclusion is the ability to zip around via grappling hook, making you feel like Spider-Man or Batman. Having this feature completely changes the dynamic of the game, as you no longer have to worry about staying grounded. There were countless times in which I would zip away to a nearby building to heal and recuperate, giving me a slight advantage against the enemy. If an enemy hasn’t seen you, you can perform a stealth attack from above that results in an instant kill, too. There are also platforming sections that require you to jump off cliffs in order to reach a nearby surface or branch, or the ability to zip towards an enemy to perform aerial attacks. The overall feeling of Sekiro is way different from the Souls games and you’ll probably notice it immediately. It feels more modern, especially when compared to the older clunkier Souls entries. 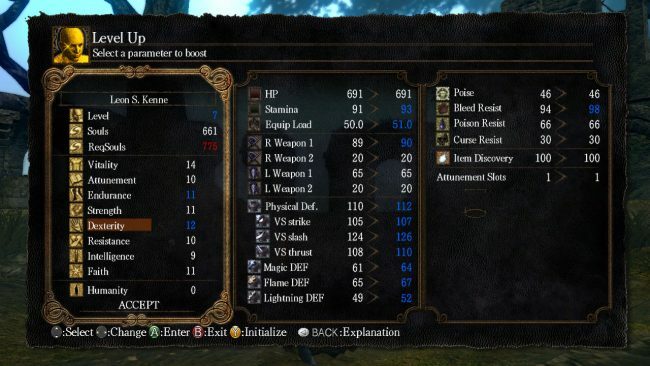 The upgrade system in Dark Souls is arguably a lot more simple than the one in Sekiro, as it just involves increasing various stats, numerically. That upgrade system is found in lots of RPGs, so it’s quite easy to wrap your head around. Each time you level up, the next level takes more XP (Souls) to reach, giving a steady sense of progression. As much as Dark Souls pushes back in many areas, the way you upgrade your character is accessible for many to understand. 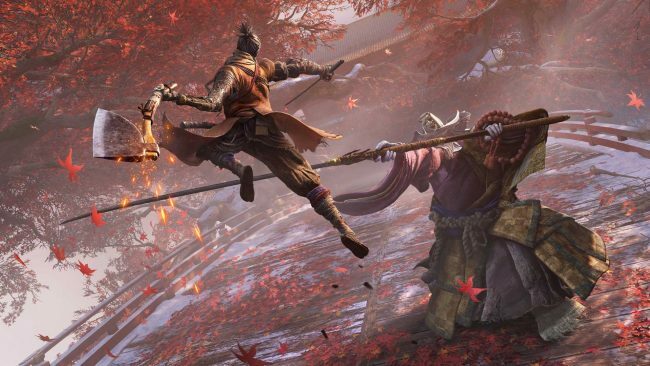 In Sekiro, however, it’s noticeably more complicated, as there are more moving parts to deal with. You don’t have a simple XP system to allocate to specific stats. Instead, you unlock different abilities that you can equip to your character. The way you acquire these abilities is a lot like the Souls games, as a progression bar fills up when you defeat enemies. However, skills have different values and as you make your way up the skill tree, you’ll find that it will take lots of XP to purchase them. Additionally, Sekiro has a separate currency system in place that is used to purchase items that will assist in battle. So, unlike the Souls games, you’ll be juggling a bit more when it comes to currency and progression. In addition to that, the way you upgrade your overall health is different, too. Dark Souls just uses the same XP system mentioned before to increase overall health. Simply add points to vitality to increase your HP. Sekiro forces you to collect four prayer beads that are hidden throughout the world. Once a set of four is collected, you turn them in and they add to your health bar, much like Zelda. It’s these vast differences in the way your character progresses that might divide the crowd, since they both have their merits and disadvantages. You’ll notice that Sekiro really only allows you to use one weapon, which, at first, might sound like a downside, when compared to Dark Souls. The Souls games have dozens and dozens of weapons at your disposal, from katanas, giant clubs, greatswords, scythes, axes, and a lot more. Depending on your play style, you have numerous options to choose from, giving you a sense of freedom and adding variety to the game. Sekiro doesn’t have that. In fact, you only get one weapon — kind of. With a few minor exceptions, your only main weapon is the Kusabimaru Katana that you start the game with. The variety comes in by adding to your prosthetic arm, which does have many options. These range from shurikens to axes, and spears. But even still, the variety of prosthetic tools you have to choose from is nowhere near the amount of weapons you have in Dark Souls. Maybe that’s not a big deal, since a lot of the weapons in the Souls games are throw-aways. You probably won’t even come close to trying out every weapon in the game, since there are so many and since you have limited upgrade resources. So, perhaps Sekiro has the right idea by leaning away from traditional weapon upgrade paths and sticking with a smaller variety of weapons to choose from. Dying in the Souls games is an integral mechanic in how the game works. You die, you learn (hopefully), and you lose all your Souls. From here, you must retrieve your lost items from your corpse. It’s sort of a series staple and one of its most identifiable features. 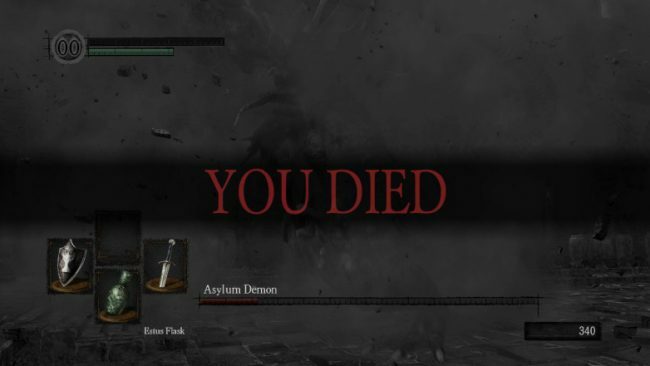 The infamous “You Died” screen comes up and taunts you, letting you know that it’s your fault you messed up. 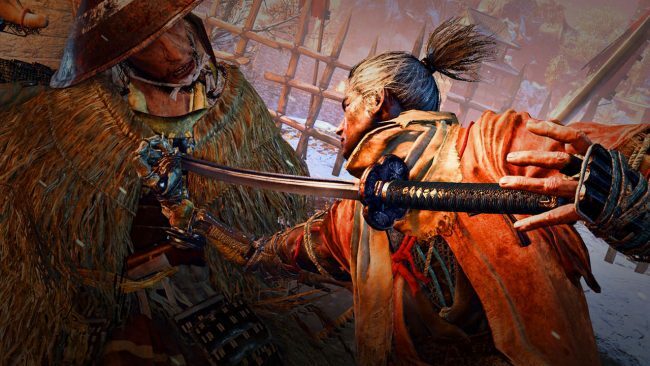 Sekiro uses death as a main mechanic, too, but dying works differently than in the Souls games. 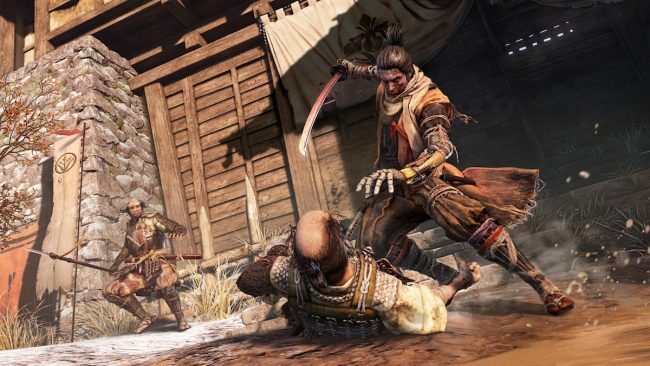 Sekiro allows you to revive multiple times depending on your progress and how many enemies you’ve killed so far. By default, you get one revive, in which you can spawn right at your corpse, with no risk of losing your experience or money. If you kill a certain number of enemies, you also get another chance to revive, with a third revive option being made available in a later game area. It might sound like death is a non-issue in Sekiro, but it’s anything but. At times, you still might encounter a true death when all your revives have been exhausted. Doing so will deplete your experience and currency by half, as well as adding a chance for all NPCs you’ve met to encounter Dragonrot, which will prevent their quest-lines from appearing, as well as reducing your Unseen Aid. In other words, you should still probably treat death as a serious matter, despite having the chance to revive. If you’re having trouble, check out our tips post here! At the end of the day, Dark Souls and Sekiro: Shadows Die Twice are excellent games. They have lots in common, but their differences set them apart and make them feel unique. Since both are so different, you’ll likely gravitate towards one more than the other and that’s okay. It’s great that they can both exist, giving players lots of variety in gameplay, story, mechanics, and combat. Of course, those are only some of the differences between the two. What did we miss? Let us know in the comments!